Associate Professor Richard Roberts says it’s the perfect time study Design and Production at the University of Melbourne (VCA). As of 2019, the Victorian College of the Arts (VCA) will replace its current Bachelor of Fine Arts (Production) with a new course – and new focus - the Bachelor of Fine Arts (Design and Production). “The new course structure is an attempt to acknowledge the changing landscape in production. 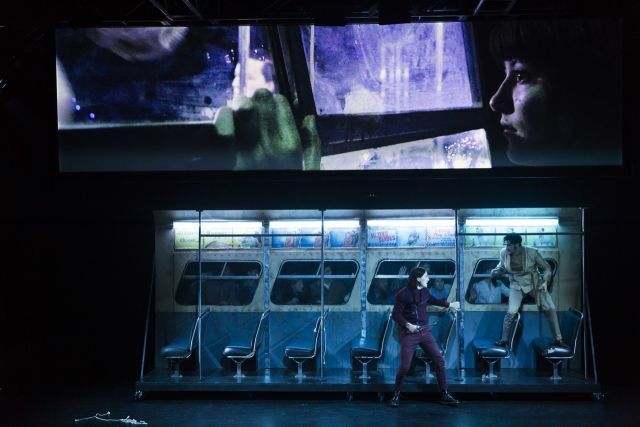 The old boundaries between the technicians, designers, performers and directors are dissolving,” says Associate Professor Roberts. In practical terms, this will involveconsolidating three majors (Design Realisation, Performance Technology and Stage Management) into two majors (Design and Technical), with greater opportunity to specialise within these majors. In the Technical major students can focus on Stage Management or technical skills and management in the areas of lighting, sound, costume and set/props. In the Design major students specialise in design for these same areas of lighting, sound, costume and set/props. Student focusing on costume or set/properties in either major will also have the opportunities to collaborate with their peers in VCA Film and Television. Students will also be able to cater their course more closely to their areas of interest – whether that’s working in film, set design, lighting production, or the many other areas of specialisation. The Bachelor will offer hands-on experience, with involvement in VCA productions, industry internships, and tutelage by skilled professionals. 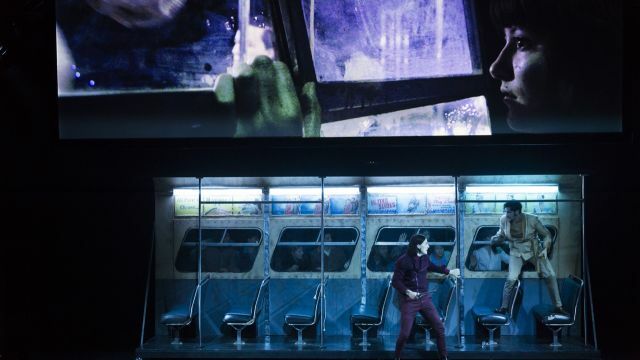 Roberts explains that this is driven by changing technology, work practices and the ever-shifting question of what constitutes a “performance” – as well as a greater emphasis on collaboration across all areas of stage and screen design and production. “It’s certainly true to say that without a team, there is no production,” Roberts says. The new VCA Production teamcomprises industry professionals whose work has been presented in theatres and on screens around the country and internationally. According to Head of VCA Production Leon Salom, the new staff members are “among the very best practitioners, with close and current connections to the performing arts and film and television industries.” The newest member of the team is Matthew Scott, whose lighting designs can be seen in Melbourne Theatre Company’s production of An Ideal Husband and later this year in Belvoir St Theatre’s Dance of Death. Salom says the new direction came in response to feedback from industry, current and former students. “The VCA will be able to train future managers, technicians and designers who will have a deep understanding of the field they are entering along with a comprehensive skillset in current and emerging industry practices. “Bringing together Lighting, Sound, Set and Costume Designers in the same Design Studio classes is a unique aspect of this course. It reflects the emerging practice of ‘scenography’ where all design elements are considered as equal contributors to a piece of theatre. They all play a central role in storytelling and therefore should be given equal importance and be developed alongside each other during the design process. “We will also be delivering more advanced training in management techniques for the students in the Technical major. Our graduates who focus on Stage Management, technology and construction enjoy some of the highest rates of employment on graduation in the faculty. These more advanced management skills are expected to enable graduates to move into leadership positions more rapidly. After completing the Bachelor of Fine Arts (Design and Production), students are eligible to be involved in the VCA’s Graduate programs, where they can focus on set, costume and lighting design in the Master of Design for Performance; or on production design or art direction for film and television in the Master of Production Design for Screen. Production at the VCA has high rates of graduate industry employment, helped through an industry internship program undertaken by all third year students. In addition to this the connections that students make with lecturers, guest speakers, industry mentors and peers can last a lifetime. Peter Pan, presented by VCA Acting Company 2018 and VCA Production students. Director: Benjamin Schostakowski. The Crucible, presented by VCA Acting Company 2018 and VCA Production students. Director: Adena Jacobs.